About 3 years ago I needed another way to get music from my turntable onto my Mac. I had been using an audio input USB box of some sort, but moved my amp so it was no longer convenient to keep the same setup. 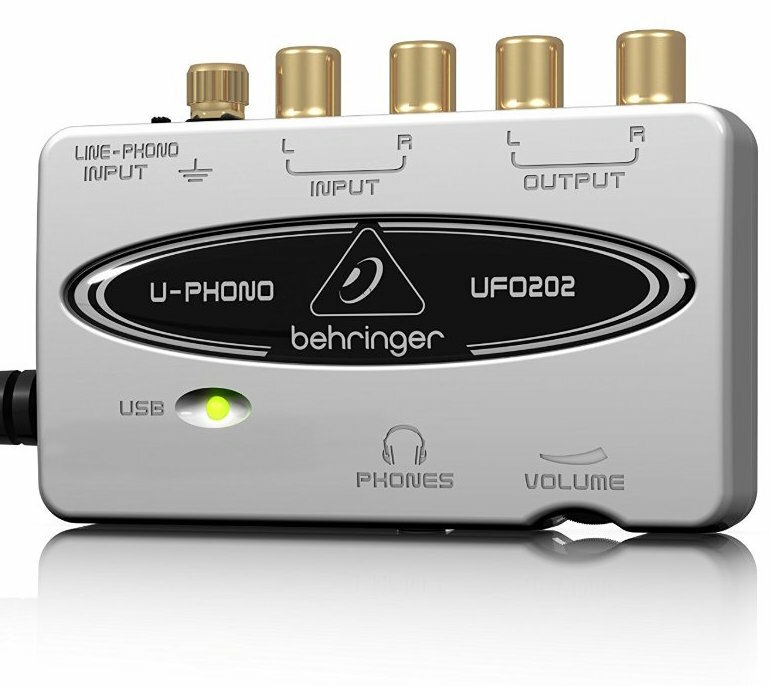 Purchased the Behringer U-Phono USB interface, and still using it today. Your phono inputs and ground cord attach to the unit, and plug it into your computer. On a Mac it shows up as an input device allowing you to record using various software. I was concerned about noise and interference, but this is a quiet unit. Yes, if you turn up the volume a lot you do get some background noise, but it is not noticeable in everyday use, especially while converting vinyl. It has an audio out so you can run the sound to your stereo at the same time if you wish, and a headphone jack with volume control. Headphone output is a bit on the low side but otherwise works fine. Input is switchable to Line in case you want to connect a cassette player or other audio device. Powered by the computer USB port, so if you want to use it as a standalone device, any power adapter with a USB out should work, one is not included. The light will not come on since there is no data connection, but powers on fine. I guess it comes with some software, do not bother. Go to http://www.audacityteam.org/download/ ang get the newest free version of Audacity to record your audio, or use any program you are currently using. 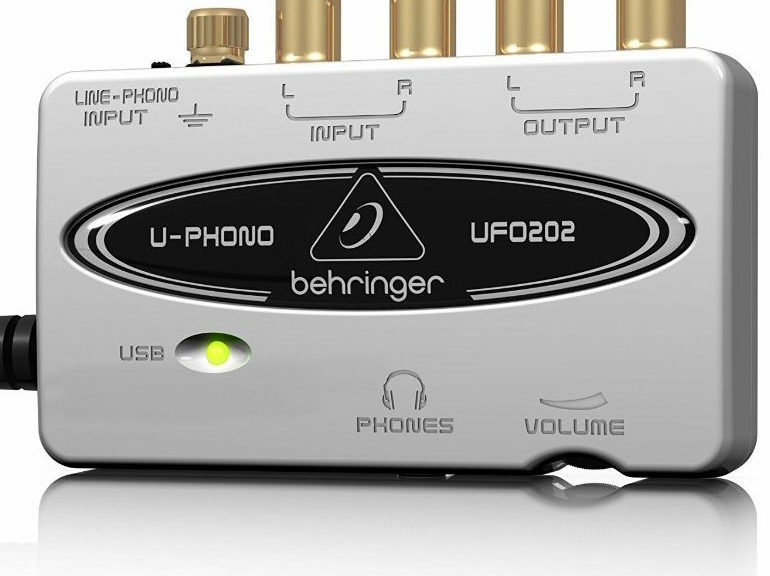 There are really no controls, just select the Behringer as an input source. I have had other adapters that either had too little or too much volume level input, but this one never clips the audio but is still a reasonable level. For the price this is one great little adapter, usually runs under $30. While there may be other USB Phono adapters with better specs, at a higher cost, at this price it is a bargain. I have not had any times where I thought that the sound quality was not great.